Here at Fort Collins Foreign Car Service, many of the vehicles that our Fort Collins mechanics work on are 4x4s that see a lot of off road use. There is a lot of fun to be had with the freedom of a trail rated off road vehicle. 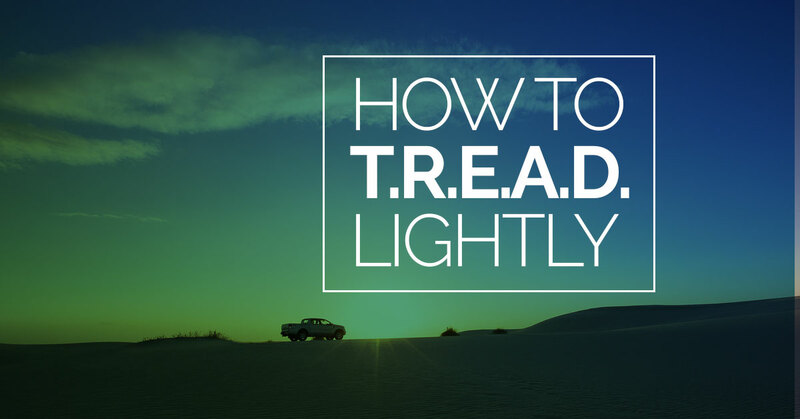 To help promote this exciting activity in a way that preserves the environment and ensures the safety of drivers, we would like to go over some off roading principles from the esteemed T.R.E.A.D. Lightly organization. Here is a quick overview of their tenets. Freedom and responsibility go hand in hand, and that is exactly the kind of value that T.R.E.A.D. Lightly is trying to espouse. Most states have lots of designated trails and off road areas with a wealth of space for you to explore, it’s important to stay in them. Off road vehicles can be extremely damaging to the environment, and as responsible citizens it’s our job to ensure we prevent that damage. If your state, city, or locale doesn’t set aside or designate land for off road use, petition your representatives. We all share the land, so we need to respect each others use of it. That means give campers, hikers, bikers, etc. a wide berth from your vehicle. Always yield right of way to passing vehicles. Be aware of noise pollution. In general, just follow the golden rule. Off roading can include anything from a light scenic drive to an arduous trip in unforgiving wildlands. In either case, preparation is the key to both ensuring safety and making sure you have an enjoyable time. That means knowing the limits of your off roading ability, the limits of your vehicle, and the lay of the land. Additionally, it means preparing for the worst. A winch or some Maxtrax to get you out of a rut, a self car starter, an air compressor, all of these can save you from getting stranded a ruining your day. As we mentioned, you should stay on designated offroad areas. However, that doesn’t mean you shouldn’t remain aware of the effect you’re having on the land. Avoid areas dense with wildlife, historical or archeological sites, lake shores, and stream beds. The spirit of off roading is all about freedom and personal responsibility. Nobody wants to be forced into a set of rules, even if those rules are meant to help, and that’s why it is up to all of us to lead by example and show that off roading is a bastion of responsible freedom. Always leave the area better than you found it. Keep these points in mind, and you’ll be able to enjoy the outdoors in peace knowing you have total autonomy and are still doing your part to protect the wild, your fellow outdoor enthusiasts, and yourself. If you need a Fort Collins 4×4 repair mechanic to get your ride back on the trails, you’ve come to the right place. Give one of our professional mechanics a call today for more information, or drop by our shop and see our work for yourself.